When it comes to cleaning, many people normally pay little attention to the sidewalks. But in reality, a clean and attractive sidewalk will play a significant role in giving your home a good impression. In most cases, we pay more attention to the kitchen, living room and the bathroom. But, it is very important to clean the concrete sidewalks in order to prevent discoloration, accumulation of mildew and accumulation of dirt. We all kinds of concrete repairs including concrete patio repairs. 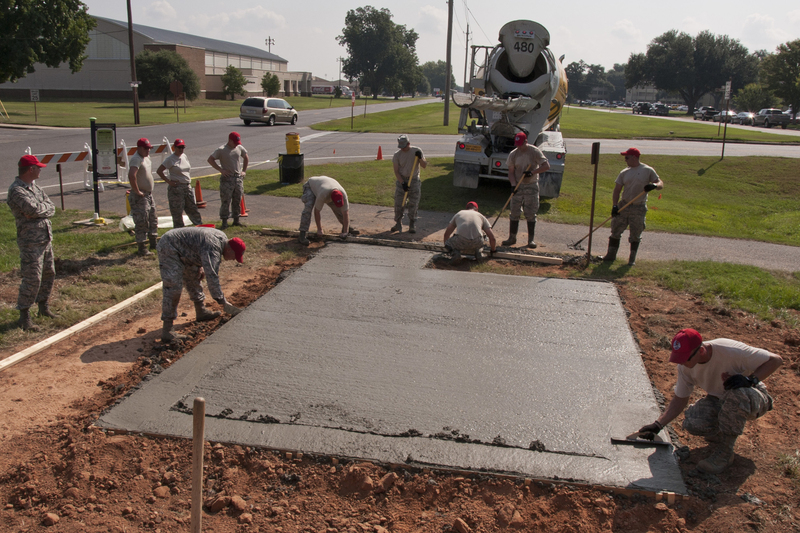 It is obvious that some dirt and foreign particles might accumulate on your concrete pavement. But light scrubbing will play a great role to ensure that all the loose dirt on your pavement is removed. What you need here are soapy water and a soft brush. Scrub the sidewalk using a soft brush until it gets clean. Then, rinse using clean water. Avoid using a hard brush because it might damage your sidewalk. In case your pavement is oil stained, light scrubbing will help a great deal. Most importantly, this process will prevent the accumulation of mildew. This is another most effective way of giving your sidewalk an attractive appearance. Pressure washing will help you get rid of all the dirt on your pavement. The equipment that you need here is, pressure wash, soapy water, and a scrubbing brush. You can buy your pressure wash or rent one from a nearby hardware. Just like in the other methods, start by sweeping to remove dirt on the pavement. Then pour the soapy water on your sidewalk and finally scrub using a scrubbing brush. Wait for about 20- 30 minutes. During this process you should not let the pavement get dry, instead, it should remain wet. In case some parts start drying, add more soapy water. Finally, use a high pressure to rinse your concrete pavement until it gets clean. In this method, you can either use a specially made concrete cleaner or use hot water and oxygenated bleach. If you are using hot water and oxygenated bleach, ensure that you make a perfectly clear solution. Start by getting rid of dirt on the sidewalk, then pour the mixture on the pavement using a tank sprayer. Keep more attention on the stained parts. Then wait for half an hour. During this period make sure that every part of the pavement is wet. After 30 minutes are over, scrub the pavement until it gets clean. Finally, rinse with a lot of clean water. You will realize that your sidewalk will be perfectly clean. When the above methods are followed clearly, your concrete sidewalk will remain clean and attractive always. In case you are busy, a simple sweeping will also prevent the accumulation of dirt. The cleaning should be done regularly to prevent permanent accumulation of stains. Using water from a hosepipe will also assist in a big way. Rinse your sidewalk on a daily basis to keep it sparkling clean. A clean and well-maintained sidewalk is a clear indication of a beautiful home.